The USB RFID Reader is a low cost platform for developing and deploying interactive read/write applications. Driven by ThingMagic's Mercury 5e-Compact UHF RFID reader module, the USB RFID Reader is controlled and powered by a desktop or notebook PC. 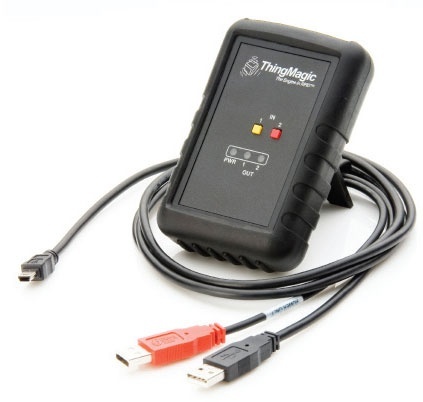 Supporting ThingMagic's application development tools, the USB RFID Reader's small size, integrated antenna, ease of deployment and low cost make it ideal for application developers.